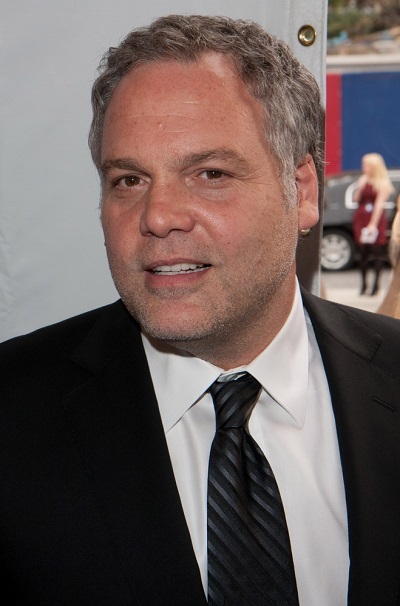 Vincent D’Onofrio is an American actor, writer, director, singer, and producer. His parents, Phyllis Ann (Minicola) and Gennaro D’Onofrio, are both of Italian descent. His sister, Elizabeth D’Onofrio, is a producer, actress, and acting coach. Vincent is married to Dutch model Carin van der Donk. He has a daughter, actress Leila George, with his former partner, actress Greta Scacchi; and two children with Carin. Vincent’s maternal grandfather was Fredrick/Fred P. Minicola/Menicola. Fredrick was born in New Jersey, to Italian parents. Vincent’s maternal grandmother was Margherita/Margaret Pasquale (the daughter of Antonio Giacomo Pasquale and Filomena/Philomena Victoria Canterino). Margherita was born in New York, to parents from Potenza, Basilicata, Italy. Antonio was the son of Gaetano Pasquale and Anna M. Grieco. Filomena was the daughter of Giovanni/John A. Canterino and Isabella/Isabelle Terlimbacco. He is very Italian looking, but I never understood his nose shape. It’s sorta like Asian, shortish and round.